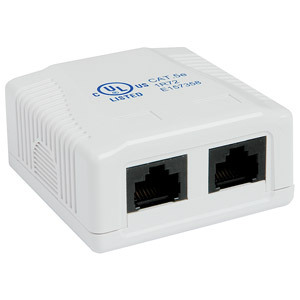 Place two CAT5e RJ-45 jacks anywhere with this complete network connection surface mount kit. Cables run through holes on edge opposite jacks. Attractively styled boxes match any decor.